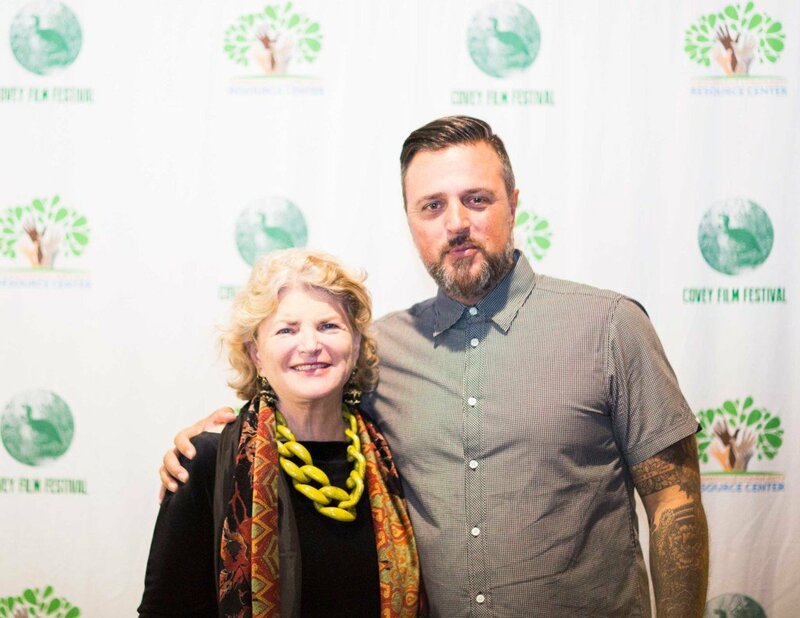 Backed by Jane Fonda, the festival is bringing riveting and diverse films to the eager eyes of Thomasville, Georgia. For Sharon Maxwell-Ferguson, co-founder of the Covey Film Festival, Thomasville’s relationship with cinema brings to mind the state’s famous sweet onion. The Red Hills of South Georgia are a far remove from the Hollywood Hills, but peeling back the area’s layers, one discovers the pungent past of a star-studded community. That prompted the film’s producer, David O. Selznick, to ship over an early reel of the iconic epic, and it premiered before a private audience at the Melhana plantation. Decades later, Thomasville is still screening progressive, riveting films during the annual Covey Film Festival. When it comes to quality filmmaking, frankly, my dears, Maxwell-Ferguson and the Covey Film Committee do give a damn. Reality will be a headliner this year. “The Gospel According to Andre” features an openly gay, African-American man who was an editor for Vogue magazine. “Being Mortal” deals with the inevitability of death, and “Faith Under Fire” explores perspectives on school shootings. And, they often provide a reminder to count your blessings. One of the most powerful guest panels took place in 2015, when Covey hosted a session with Jacob Atem, who appeared in “Lost Boy,” a film that addresses the refugee crisis in South Sudan. Atem recounted the horrible strife that he and 20,000 other boys faced when fleeing their civil war-stricken homeland in 1987. “People heard about him traveling thousands of miles barefoot with no food or water, facing wild animals and escaping guerilla fighters. He ended up in Atlanta in a program that Jane Fonda’s adoptive daughter, Mary Williams, co-founded. He just earned his doctorate in public health at the University of Florida.” Fonda, is the reason that many boys and girls of the Red Hills have bright futures. The Academy Award-winning actress discovered Thomasville in the 1990s through then husband, Ted Turner, while visiting his Jefferson County plantation. In 1998, Fonda and fellow activists founded the Thomasville Community Resource Center (TCRC) to provide educational programs and family support. The TCRC is the sole benefactor of all proceeds from the Covey Film Festival, which is chaired by Fonda. “We serve a little over 500 children in Grady, Thomas and Mitchell counties,” said Lisa Billups, executive director of the TCRC. “We believe in starting early with parent-child home programs and working closely with the school system to identify struggling students who will benefit from the specific help we can provide in our after-school programs. We have tutors, volunteers and outstanding staff at all of our sites to work with them.” Local organizations who sponsor a film are provided a platform for promoting their goals. This year, FSU film students will showcase short films, and FSU Professor Antonio Méndez Esparza’s 2018 Film Independent Spirit Award-winning movie, “Life and Nothing More,” will premiere. Georgia now surpasses California in film production. A production company is moving into Thomasville, and the FSU College of Motion Picture Arts frequently uses Thomasville as a setting in student films. Another mission of the Covey Film Festival is to feature guests who explain how to land a job in the industry, be it as a makeup artist, animator or gaffer. Get a sneak peek of these films here.